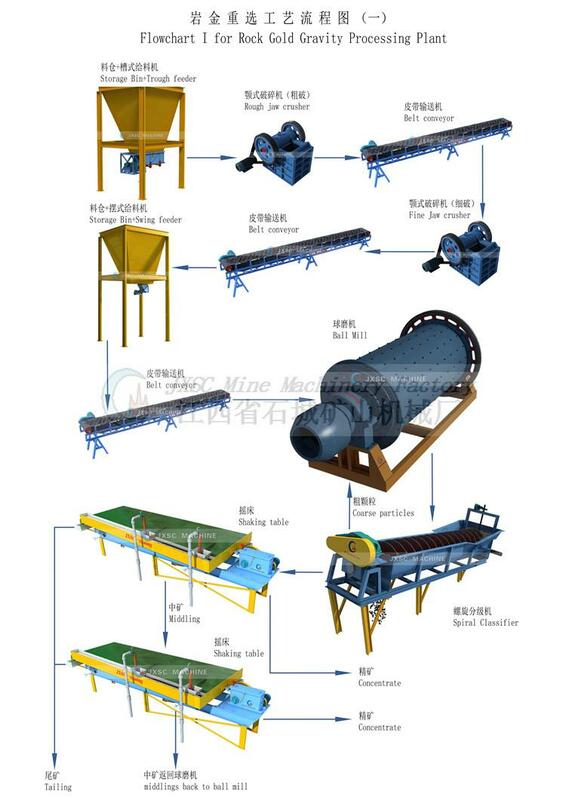 The super fine particles from ball mill will feed into shaking table through the hydraulic classifiers, which can ensure different size distribution ore/slurry feed into different riffles shaking table, in order to reach a higher recovery ratio. 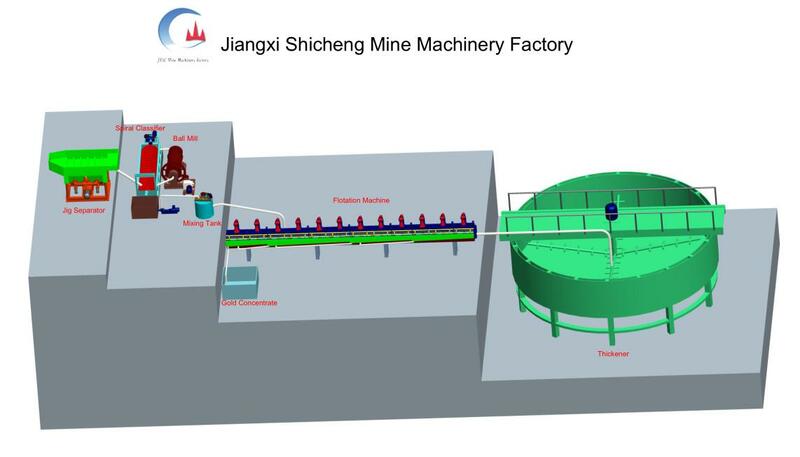 JXSC Shaking Table is one of our flagship mining equipment with more than 30 years experience. It enjoys a very high, up to 95% high recovery rate which widely used to concentrate free gold. Mercury Distiller/Gold Amalgamator is the traditional gold refining machine, widely used to mix the mercury and gold concentrate, in order to get the pure gold, then we can use Gold melting furnace to produce gold bar. Classifying stage is the same as the gravity process. The classified ore gets into a mixing tank for fully mixing. At this stage, the chemical agent for foam can be added. 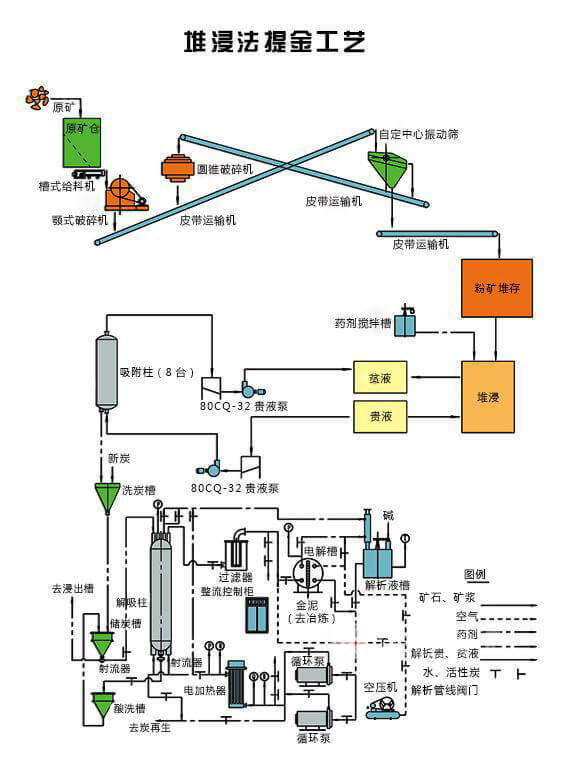 After fully mixing, the slurry will enter into a flotation machine. When the flotation machine works, the motor drives the impeller to revolve, so the centrifugal effect and negative pressure are produced. On one hand, ample air is absorbed and mixed with mineral slurry, on the other hand, the mixed mineral slurry is mingled with additive, meanwhile, the foams are thinning, the mineral is bounded with foams, and floats up to the surface of mineral slurry and the mineralized foam is formed. The liquid surface can be adjusted with the height of adjustment flashboard so that the useful foams are scraped with a squeegee. Then gold is separated from others. Since the separated ore is wet, they should be dewatered by thicker initially, and dried by a dryer. The slurry of ground ore and lime moves into a series of six leach tanks where a sodium cyanide solution is added. The tanks provide sufficient retention time to allow the gold and silver to be dissolved by the cyanide solution. Oxygen is added to assist in this process. The slurry then moves through a series of carbon adsorption tanks. While the leaching process continues in these tanks, the primary objective is to remove the gold and silver from the solution. To achieve this, carbon is fed through the tanks and the gold and silver adsorb (attaches) to the carbon granules. Carbon is heated to 600 degrees C and fed into the circuit in the opposite direction to the slurry flow, moving from the last adsorption tank to the first. This is because the gold and silver move towards the carbon via a diffusive process. It is necessary to have fresh carbon at the end of the chain, to scalp the gold and silver that has not been removed in the previous tanks. By the time the slurry reaches the final adsorption tank, most of the precious metals have been removed. The barren slurry, now known as tailings, is pumped to the tailings storage facility. In contrast, by the time the carbon reaches the first adsorption tank it has recovered most of the gold and silver from solution. This‘loaded’carbon is then pumped to the elution circuit where the gold and silver is washed off with superheated water. The washed solution, called pregnant eluate, is passed to the electrowinning circuit. The remaining barren carbon is reactivated by acid washing and kilning and returned to the adsorption tanks. JXSC provides a full of mining machinery used to extract gold, hard rock gold mining, tin ore, silver, manganese ore, coltan mining so on mineral mine. Contact us to know the latest price list of mining machinery.